The Affiliate Project Nutshell e-course for beginning Marketers, Entrepreneurs and small business owners is an introduction to the secrets of earning money on the internet without spending any. Our goal is to try and help find work at home become self sufficient and provide the basic things in life for themselves and their families. We want to give everyone in the community the possibility to change their lives and the lives of generations to come through the Super Highway “Free of charge”. We want to help create a better internet awareness by helping people just like you and me create small business models for themselves by introducing them to and teaching them the Internet marketing strategies and techniques used by the most prominent Internet affiliate and MLM marketers. I’m sure that you can think of at least 2-5 persons that you know that are internet savvy, or you may also know your way around the internet, but do you know how to take the knowledge that you have and use it to earn money with? Sure anyone can surf the net, so while you’re surfing, why not earn a little cash while you’re at it. The Affiliate Nutshell Marketing Secrets e-course is a 24 week educational introduction to internet marketing sponsored by Rcmg-3.com and associates to help you find work at home. Children under the age of 15 may not use this site and parents or legal guardians may not agree to our Provisions of Service on their behalf. If you are a parent or legal guardian agreeing to these Provisions of Service for the benefit of a child between the ages of 15 and 17, be advised that you are fully responsible for his or her use of this Site, including all financial charges and legal liability that he or she may incur. All materials, including images, text, illustrations, designs, icons, photographs, programs, written and other materials that are part of this site (collectively, all "Contents") are intended solely for personal use. You may download or copy the Contents and other downloadable materials displayed on the site for your personal use only. Don’t miss out on one of the few opportunities that you will ever have to start an online alternative business model for yourself Free of Charge. The information which you will receive has up to now been virtually kept a total secret from the rest of the internet world, webmasters kept their secrets for themselves, but more and more people are realizing that one can earn a substantial income working online with only a few hours a week. This program is not for everyone, but those of you who think that you can master these techniques, you are welcome to try at no cost to you. The lessons are quite easy, they just require time and action on your part to perfect the techniques. If you are not totally 100% sure about your participation is this course, please do not waste our time. There are thousands of young people out there who would give their last penny to get the chance to learn what we are giving to you free of charge. Please don’t misuse it. If you are not sure that you have the time to do this, then I suggest that you think about it again before you waste your time and ours. Even though the material as I said is easy to learn, it does require your time and devotion. But if you want it bad enough we will show you what to do and how to do it. There is absolutely no quick remedy or easy plan to earning any type of income on the internet, but you do need time and devotion. This is one of the reasons why our course runs over a period of 24 weeks. Forget all the stories that you have heard about getting rich quick on the internet, because if you do not know certain techniques, you as a beginner will not have a chance in Hades, and your internet experience will be a bad one. Sure there are guys and gals out there earning 10K or 30K per month, this is true; what they don’t tell you is that they have been in business for years and what most of them sell is their own technique to earn money for them be it List Building, Driving Traffic to your site, Adwords or whatever. In this e-course, you’re going to learn how to get the basic tools, which you will need as a beginner (or an experienced marketer) to build and promote your online business, and one of the most powerful secrets to making money online as an affiliate or whatever business you are in is, “How to choose the RIGHT business model”. In this e-course we take you by the hand and show you how to do everything that you need to do and know to be successful in the affiliate marketing arena. 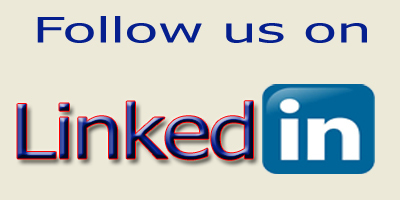 We will personally take you step-by-step through every movement until you have set-up your free website and e-business and are ready to start your first promotional campaign or have developed your own product or service and find work at home. All materials will be delivered to you in ebook format either through our website or through email. 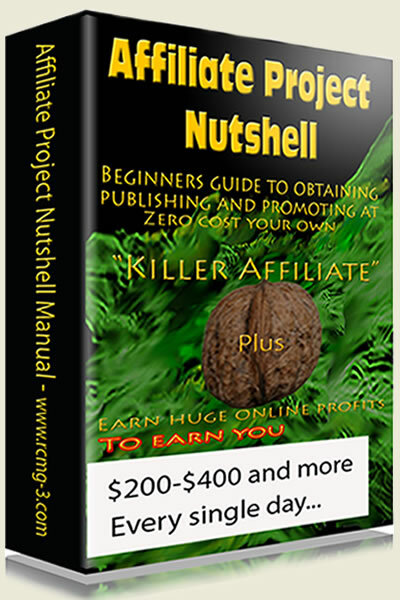 The Affiliate Project Nutshell manual is a start-up e-book and guide that was written in 2007 especially for beginning marketers, entrepreneurs, and start-up business owners to obtaining publishing and promoting at zero cost your own “Killer Affiliate Website” and was in revised in 2011 to fit the changes that have come about in recent years due to the development of the internet and how people market products and conduct business today. APN is a 77 page fully detailed fully illustrated ebook explaining the steps that one has to undertake when starting a business have not changed and the information contained in this manual is current and up to date. So check out the video that was made during the product launch to get information about Clickbank and Google AdWords. "The Affiliate Project Nutshell Manual"
Explains how to get free hosting for your site. Explains How to set up your website. Explains How and where to submit your website for search engines. Explains How to get great keywords for your marketing campaign. Explains What they are and how to use them. Explains The 10 vital steps to take to earn income online. Explains How to create your own business model. Explains How to earn income using the different techniques successful affiliate marketing use. Explains How to combine what you are doing with the best in your field. Explains Step-by-step illustrated instructions on how to conduct a successful promotion or campaign. At the end of the course, that is after all 21 lessons have been successfully understood and performed, all students will receive from RCMG/ISBAB Concept Marketing our official certificate of achievement, and hopefully a start in life that, otherwise they probably would never have had.